HIROSHIMA STYLE OKONOMIYAKI | CHINCHIKURIN – This is HIROSHIMA STYLE OKONOMIYAKI CHINCHIKURIN Website. Hands down, this is the most popular comfort food of Hiroshima. Each layer of the okonomiyaki is perfectly grilled and carefully assembled on a searing teppan griddle. And when your nose is engulfed in the hypnotizing aroma of the Otafuku sauce as it drizzles over the edges and sizzles on the grill, it's easy to understand why this beloved dish has nourished generations of families in Hiroshima for decades! It generally contains about 11 layers which consist of various types of vegetables, moderate portions of protein, a decent layer of carbs, and a few layers of extra flavor. And although each layer brings their own flavor and texture to the table, it's the famous Otafuku sauce that brings them all together. Hiroshima style okonomiyaki has a few distinguishing features compared to the more widely known Osaka style. For one, each ingredient has its own layer. That means keeping each layer in order during cooking and merging all layers requires more attention and a little extra dexterity from the chef. Second, Hiroshima style uses a whole lot more cabbage. And third, there’s a layer of grilled noodles! Watching masterful chefs preparing Hiroshima style okonomiyaki behind the teppan grill adds to the dining experience. Keep in mind that the best seats in the house are right at the counter! Part of what makes okonomiyaki so popular is the fun you can have when you eat it! 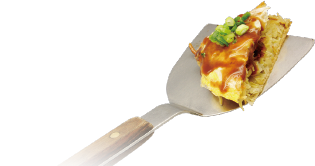 Everyone gets their own “hera” (That’s Japanese for a miniature spatula) with each okonomiyaki. You can use the hera to cut smaller pieces of the okonomiyaki for easier eating or to trade and share pieces with, or you can just use it to eat the okonomiyaki outright! 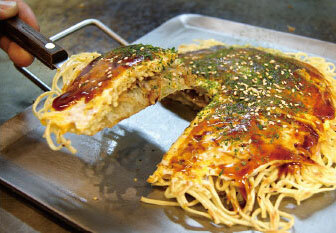 For those not as daring, you can eat the okonomiyaki with ohashi (chopsticks) or a fork. World War II, daily living resources were scarce supply, especially food. 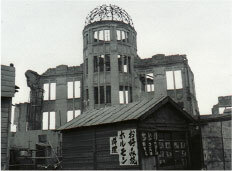 the people of Hiroshima as they healed from the wounds of war andrebuilt their city. An okonomiyaki restaurant can be seen in front of the famous Genbaku Dome. Food stands making okonomiyaki were everywhere as the city rebuilt itself. 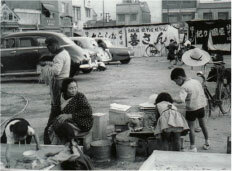 Okonomiyaki street vendors expanded in numbers over time due to the popularity of okonomiyaki. 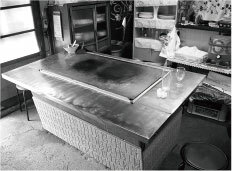 Homes became impromptu okonomiyaki restaurants with people installing teppan tables in their kitchens. the Hiroshima prefecture is a melding of industrialized city dwelling surrounded by the vast swaths of nature. 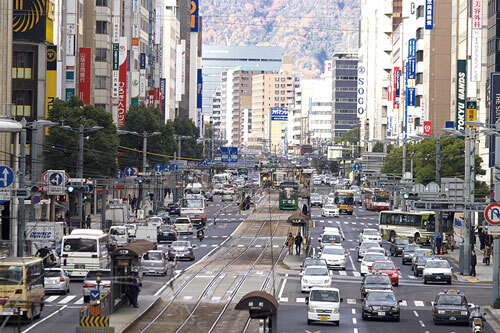 Hiroshima City is the largest city in the Chugoku region. 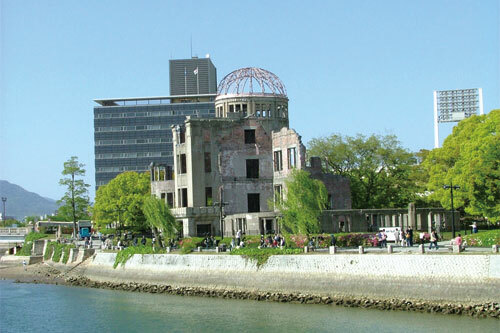 Hiroshima is historically known as the first city to experience the destructive power of a nuclear bomb during World War II. 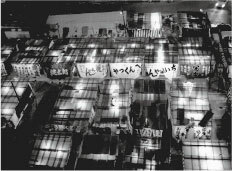 proclaimed the City of Peace by the Japanese parliament in 1949. 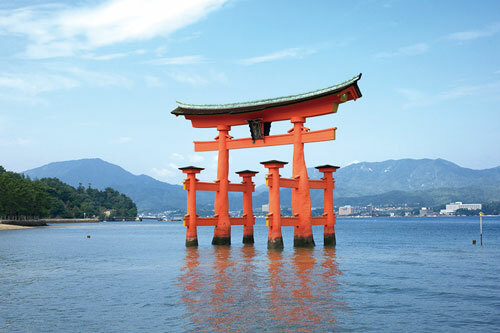 There are 2 UNESCO sites located in Hiroshima, the Genbaku Dome and the Itsukushima Shinto Shrine. Made with over 20 types of spices and its special ingredient, dates, Otafuku’s commitment to quality shows in its fan base. With their devotion to principle and integrity in both quality and in the selection of their ingredients, Otafuku's Okonomi Sauce has become the must-have sauce used in every household in Hiroshima. Guided by its two-pronged philosophy, "Never compromise the quality of the ingredients" and "Every drop counts," Otafuku has grown into a multimillion dollar sauce company with factories in Japan, China, and the United States. Copyright (C) CHINCHIKURIN. All Rights Reserved.